Chances are you love your car. It’s an incredible investment and can be a wonderful purchase, so it’s important that you keep it looking as great as possible. Even with proper care, dings and scratches can occur. If this happens, make sure you take action by applying touch up paint to your vehicle. Touch up paint should be applied to scratches when they occur. Make sure the area is clean. Dirt or debris can cause problems when the paint is drying, so take care to ensure that your car is as clean as possible when you begin to apply paint. 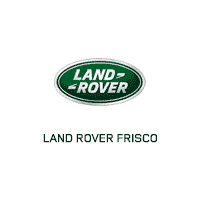 If you have questions about touch up paint or you need supplies to get started, come visit us at Land Rover Frisco so we can help! We’d love the chance to assist you in making your car look great.